Walk4Endo marked the commencement of the Nurses Week with the theme: A Voice To Lead: Achieving The Sustainable Development Goals.Founder of EndoSurvivors International Foundation, Mrs. Olivia Nwankudu, said education and awareness are key to identifying, treating and managing the symptoms of endometriosis. 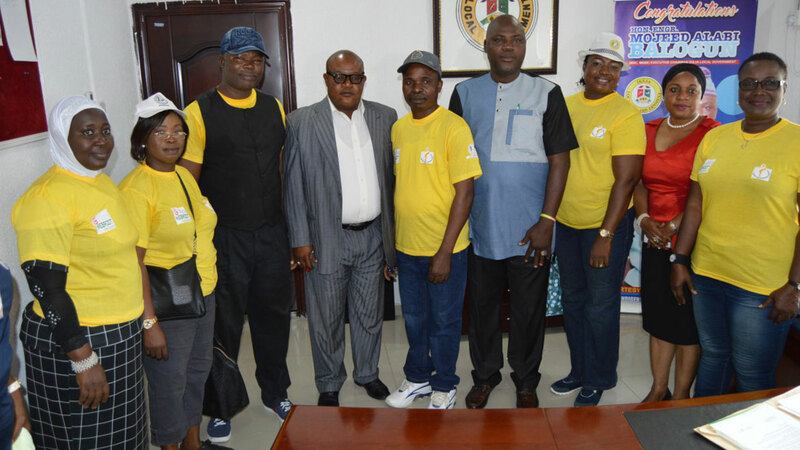 EndoSurvivors International Foundation (ESIF) in collaboration with the Lagos State chapter of the National Association of Nigeria Nurses and Midwives (NANNM) has raised awareness about endometriosis in an exercise tagged: ‘Walk4Endo’. Her words: “Education for both healthcare providers and women is key. If adolescent girls and women were more aware of the symptoms of endometriosis, they would be more likely to report the symptoms to their doctors. “As we raise awareness about endometriosis among members of the public, a key element is to dispel the myths that enshroud the disease. Parents, teachers and guardians must begin to encourage discussions about periods and menstruation, particularly amongst adolescent girls. “Women ought to know that severe menstrual pain, which disrupts their life activities is not normal and should be taken seriously”.The awareness team took off from the Lagos Television (LTV) in Agidingbi, walked through Obafemi Awolowo Way to Balogun, Computer Village and arrived at the Ikeja Local Government Secretariat in Anifowoshe, culminating in a community outreach. Participants from the locality and passers-by received health education on endometriosis, free medical counseling, hepatitis screening, blood sugar screening and blood pressure checks. Beneficiaries also received free gifts, deworming tablets, night aids and others. The team, led by Lawal Ayodele Idowu, paid a courtesy visit to the Chairman, Ikeja local council, Mojeed Balogun, who appreciated the executives of EndoSurvivors and NANNM for their efforts and commitment towards improving public health. The groups revealed that about 40 per cent of infertility cases today is caused by endometriosis, an incurable, invisible, painful disease, which affects 1 in 10 girls and women of reproductive age. Endometriosis is a disease of the female reproductive system in which tissues resembling the lining of the uterus are found growing in areas outside the uterus. This distortion in the normal biological process leads to inflammations, severe pain and much more.